Since 1970 we have been producing quality stamping and metal fabrications for original equipment manufacturers from every industry. As you browse our website you will see that we have the capability to meet your needs. Carmeco Inc. will manufacture your parts to your quality requirements and as your schedule demands. 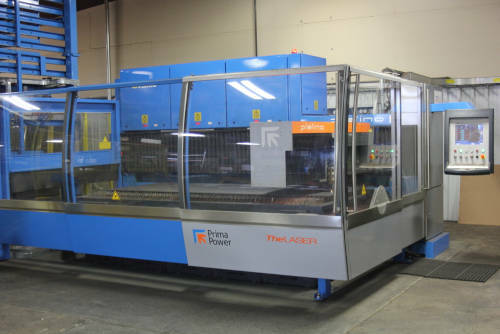 Our laser enables Carmeco to provide its customers with high-quality, economical, and time-sensitive sheet metal production requests for OEM market. We can accommodate any welding requirements. 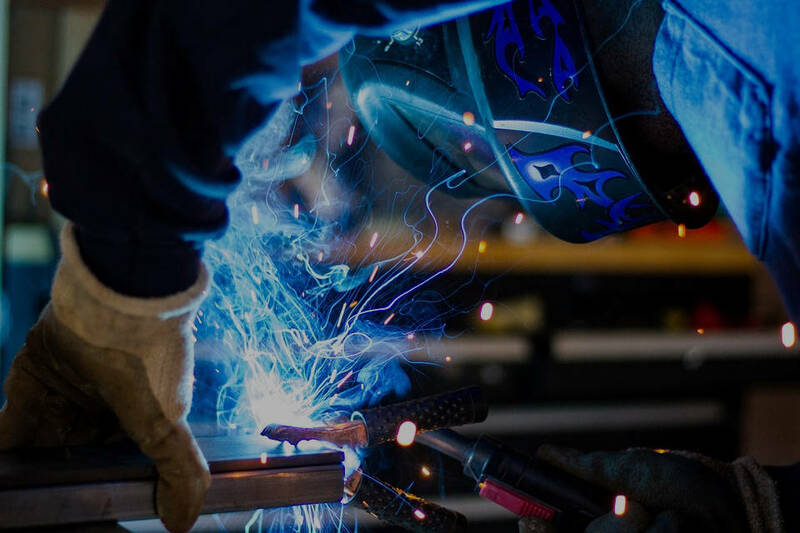 We offer many types of welding and have the experience you require. 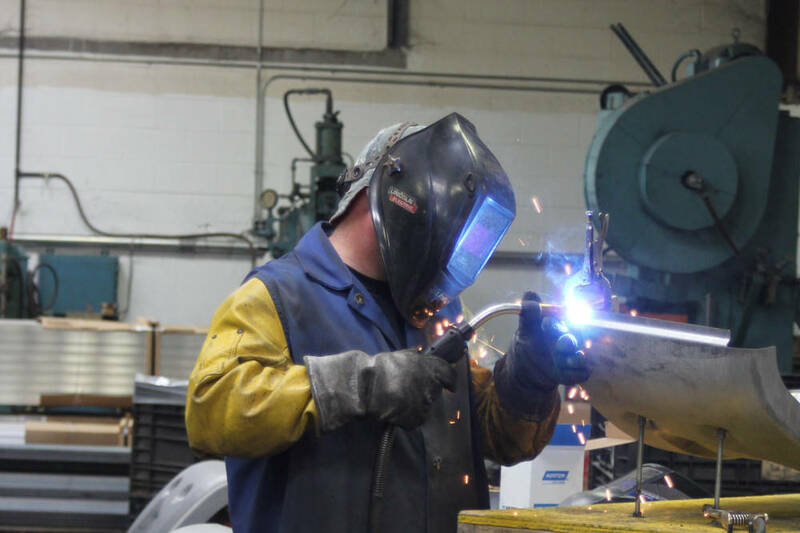 We will address your welding needs whether you need one part or an entire assembly. Our welding procedures are patterned to AWS standards and Carmeco can offer certified welding should it be required. - Experienced Workmanship To Get The Job Done Right! 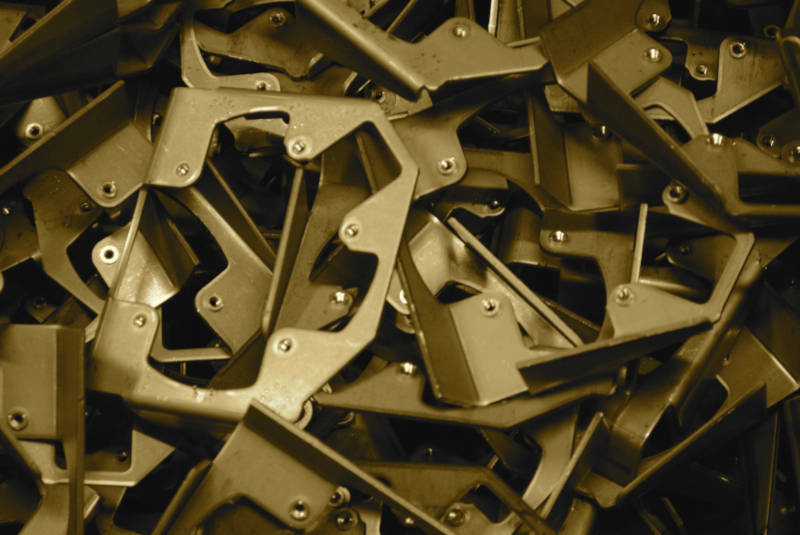 Carmeco offers complete tooling capabilities. From simple blanks dies to complex progressive dies. We can keep your project on time and on budget. 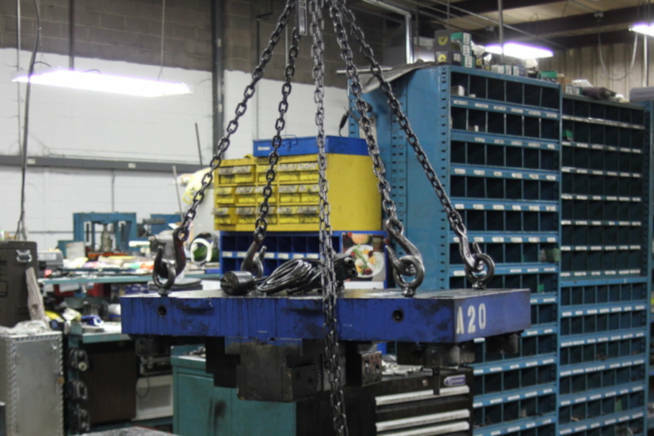 All tooling maintenance is done in-house which allows control over getting your tool back on-line and on-time. With our years of tooling experience, you will receive expert tooling support. - Over 80 Years Of Combined Experience! 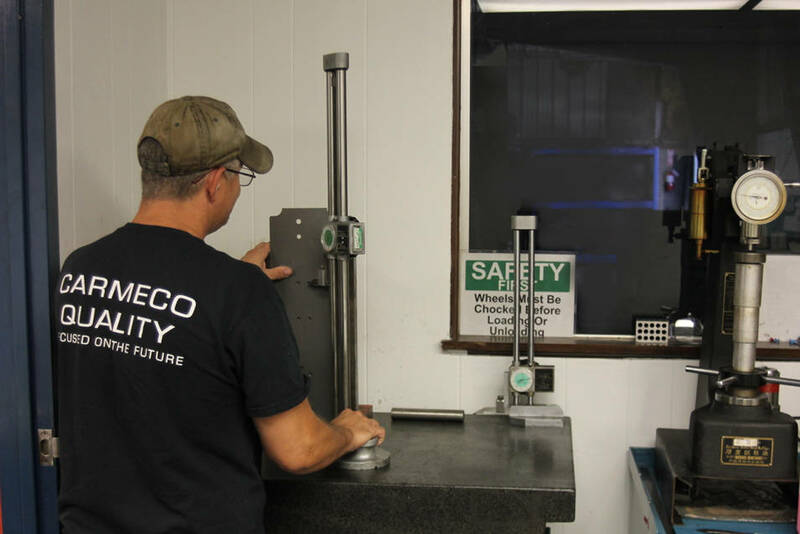 Carmeco Quality equals Customer Satisfaction. Our commitment to our customers is to achieve quality as a result of our operations, processes, and continuous improvement. Over the years Carmeco's quality has evolved to meet customer requirements. From replicating a sketch on a napkin, to achieving tight tolerance dimensions, to controlling an output with statistical process control, we will always be glad to meet your needs. Carmeco's Fabrication Department can meet your requirements for prototyping, small volume or large volume Laser and Press Braking needs. With four press brakes ranging in size from 55 Ton 4' 6" bed to 400 Ton 10' bed. all Brakes are equipped with gauging systems to assist in quick changeovers and set-ups. Check out our equipment listings or contact us for information. 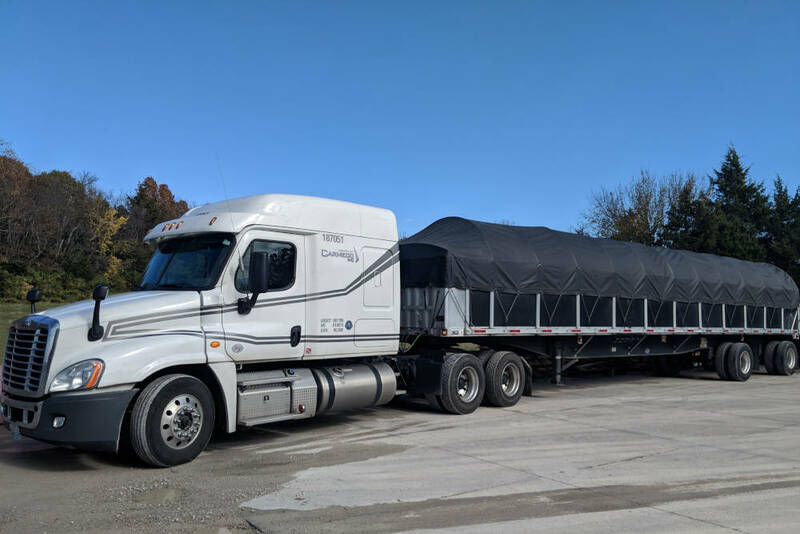 Carmeco will take care of any of your delivery needs in order to ensure fast, on-time, and economical sound delivery of your product. It will be like we are right next door. - With our trucks you can be assured that your product will be delivered on-time and safely. 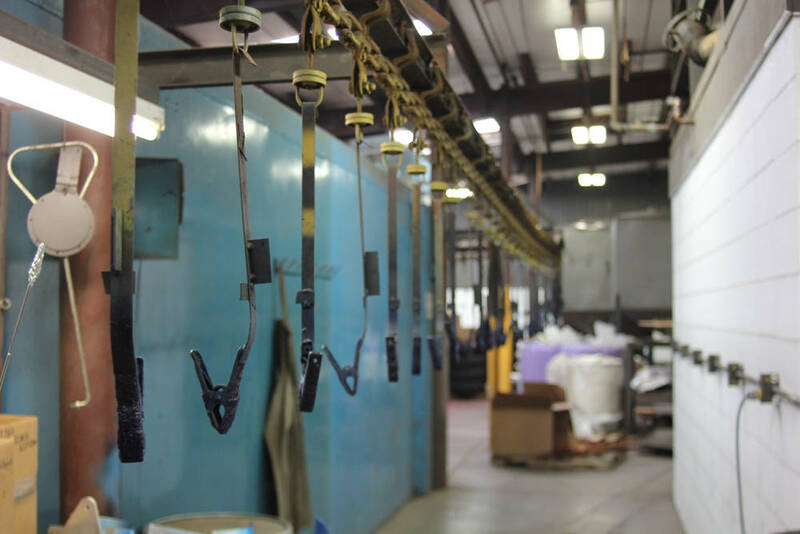 Carmeco’s painting facilities can match your product requirements. In-house wet coat painting, powder coat painting available with our outside partners. This department can handle all your assembly requirements.